Located just 10 miles from Ute Mountain Casino, this family-run Cortez motel features free Wi-Fi throughout the property. All air-conditioned guest rooms include a cable TV. The rooms at White Eagle Inn have an Alpine style and are completely furnished in wood. A coffee maker and a small refrigerator are included in all rooms for convenience. White Eagle features a covered outdoor picnic area with views of Mesa Verde National Park and Sleeping Ute Mountain. All rooms are ground level with free parking outside each door. Cortez Airport is only 2 miles from White Eagle Inn. In Cortez centre, National 9 Inn Sand Canyon Hotel features a swimming pool, traditional restaurant and free Wi-Fi. South Forty Golf Course? is just 1.5 miles away. With authentic Southwest decor, the cozy rooms at National 9 have air conditioning and private modern bathrooms. Rooms also feature cable TV, a microwave and refrigerator. National 9 Inn Sand Canyon serves generous breakfasts daily in the spacious restaurant, and there are also vending machines for drinks and snacks. The Sand Canyon Hotel offers guest laundry facilities and a 24-hour front desk. The outdoor swimming pool features a sun terrace with loungers, and an airport shuttle service is available. National 9 Inn Sand Canyon is just 2 miles from the Cortez Plaza Shopping Center. The hotel offers free parking, and Ute Mountain Casino is 13 Miles away. The beautiful Mesa Verde National Park is a 40-minute drive. 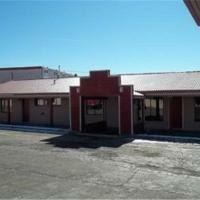 One mile from downtown Cortez, Colorado, this motel is 4.4 miles from Conquistador Golf Course. It features spacious rooms with free Wi-Fi. Free access to the seasonal outdoor pool and hot tub is provided to all guests of the American Holiday Mesa Verde Inn. A volleyball court and horseshoe pits are available for recreation. Laundry facilities and free parking are also available. A cable TV and clock radio are standard in every room at the Inn of Mesa Verde. Decorated with southwest style and carpeted floors, all rooms have air conditioning and a private bathroom. The Cortez Cultural Center and Centennial Park are both 5 minutes from the motel. Beny's Diner is just steps from American Holiday Mesa Verde Inn. This historic Cortez ranch is located near several archeological sites and ancient ruins. Anasazi Heritage Center is 20 miles away. Boasting rustic accommodations, this ranch offers horseback riding and tours. Blending antique furnishings with modern amenities, all cottages at Canyon of The Ancients Guest Ranch feature tea and coffee-making facilities. A fridge and microwave are provided. Select cottages offer a full kitchen. Guests of Canyon Of The Ancients Guest Ranch Cortez can get a taste of ranch life by participating in the daily chores. Activities include feeding the farm animals, gardening and tending to irrigation. Mesa Verde Aramark is 19 miles from this ranch. Cortez Airport is a 20 minute drive away. Situated in an adobe-style building from the 1960s, this Cortez, Colorado property features 40-acres of gardens, orchards and ancient Indian ruins. Spacious rooms, self-guided tours and horseback rides are available. Kelly Place Bed and Breakfast / Retreat Center offers views of the Sleeping Ute Mountains and red-rock canyons. Guests can pre-arrange activities like an archaeologist guided hike into Canyons of the Ancients National Monument. Guest rooms are uniquely decorated in typical lodge style or southwestern style. Each includes a private bathroom. A sweat lodge with pinion, cedar or aspen wood to burn is available for small groups at the property. Kelly Place Retreat Center can provide a spiritual leader. Montezuma County Airport is 9 miles from Kelly Place Bed and Breakfast / Retreat Center. Mesa Verde National Park is 28 miles away, and Hovenweep National Monument is 27 miles from the inn. This motel is located on the Main Street of Cortez, Colorado, 10 miles from Mesa Verde National Park. 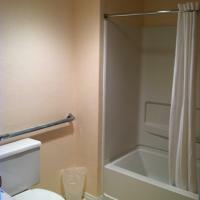 It offers simply furnished guest rooms with free Wi-Fi and cable TV. Each air-conditioned guest room at Aneth Lodge Budget 6 is furnished with a desk and set of chairs. A telephone is provided. Free coffee is served in the lobby of this pet-friendly Cortez motel. Free parking is available on site. The Anasazi Heritage Center, a museum of Puebloan culture, is within a 15-minute drive of the Budget 6 Aneth Lodge. Ute Mountain Casino is 20 miles away. Featuring a mountain view, this hotel is located in Cortez and offers a free shuttle to Ute Mountain Casino. Free breakfast is available daily. Rooms offer cable TV and free Wi-Fi. Tea and coffee-making facilities, a seating area and a small fridge are available in each guest room at American Garden Inn. Free toiletries and a hair dryer are also provided for guest convenience. Guests can relax in the hot tub at American Garden Inn or take advantage of the seasonal heated outdoor pool. A garden and picnic facilities are also on site. The Mesa Verde National Park is just next door to this hotel. The Anasazi Heritage Center is less than 15 minutes’ drive away. Four Corner’s National Monument is less than a hours’ drive from the property. 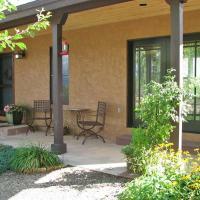 Located in a quiet neighborhood setting, this lodge is 12 miles from Mesa Verde National Park. Rooms feature cable TV and free Wi-Fi. Free coffee and pastries are offered in the lobby. A seating area is available in all rooms at Tomahawk Lodge. A work desk is also provided. Cortez-Montezuma County Airport is less than 10 minutes’ drive from the Lodge Tomahawk. Archaeological Center is 15 minutes’ drive away. Featuring rooms with free Wi-Fi, this Cortez, Colorado hotel is less than 20 minutes’ drive to the entrance of Mesa Verde National Park. A free continental breakfast is provided daily. 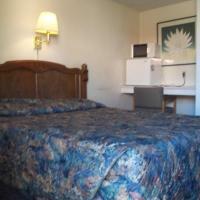 Offering cable TV, this room includes a seating area, refrigerator and an en suite bathroom at Knights Inn. A 24-hour reception welcomes guests at Inn Knights. Fax and photocopy services are also available. Anasazi Heritage Center is 12 miles away. Cortez-Montezuma County Airport is 10 minutes’ drive from Knights Inn. Just 20 miles away from Canyon of the Ancients National Monument and Mesa Verde National Park, this Cortez holiday home features views of Sleeping Ute Mountain and surrounding plateau. Free Wi-Fi and a seating area with gas fireplace are offered at Brunk Guest House. A refrigerator, a stove, a dishwasher and coffee-making facilities are featured in the fully-equipped kitchen. Laundry facilities are also provided. A welcome basket of flowers, coffee, eggs from an on-site flock of chickens, home-made jam and tea are offered to guests at Cortez Brunk Guest House. A spacious courtyard with landscaped garden and a large library of books are available for guest enjoyment. Hiking opportunities along a canal walkway are located within walking distance. Cortez town centre is 10 minutes' drive away. Durango is 1 hours' drive away.